The arrival of the spring equinox around 21st March signifies the official arrival of spring in Canada. The reality can sometimes feel a little different in the Great White North but nonetheless, spring is a great time of year to travel Canada. Most visitors to Canada arrive in the months of July and August so March to June is considered a ‘shoulder’ season. Travelling Canada in spring is quieter and more affordable. 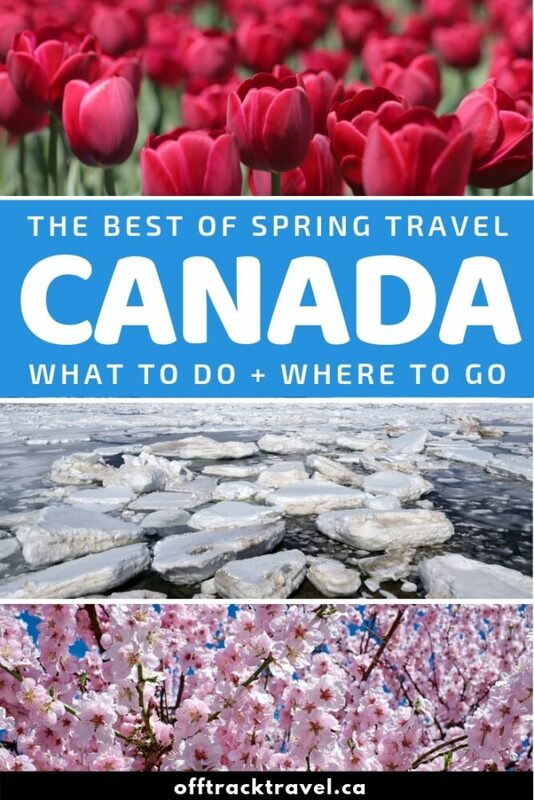 In this comprehensive guide, discover the highlights of visiting Canada in spring as well as top travel destinations and spring travel advice. 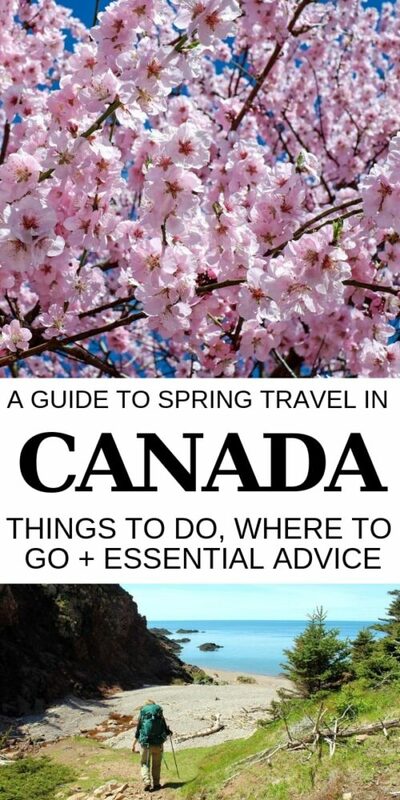 What are your travel plans for spring in Canada? Canada is a country with four distinct seasons and spring is particularly cherished for heralding the end of winter. There is a range of unique things to do in Canada in spring – read on for some of the best seasonal experiences across the nation. There are SO many reasons to go spring skiing in Canada. I worked three ski seasons in British Columbia and March was always my favourite time to be on the slopes. When I think of spring skiing, I think of relaxed bluebird days with corn snow and good vibes. Most ski resorts in Canada are open until the start or middle of April, often finishing the season with a ‘Slush Cup’ where participants ski or board into a icy pool of water wearing a costume. Some of the larger resorts out West (Sunshine, Lake Louise, Whistler) stay open until May. There is still plenty of time to fit in a day or two on the slopes during spring in Canada! 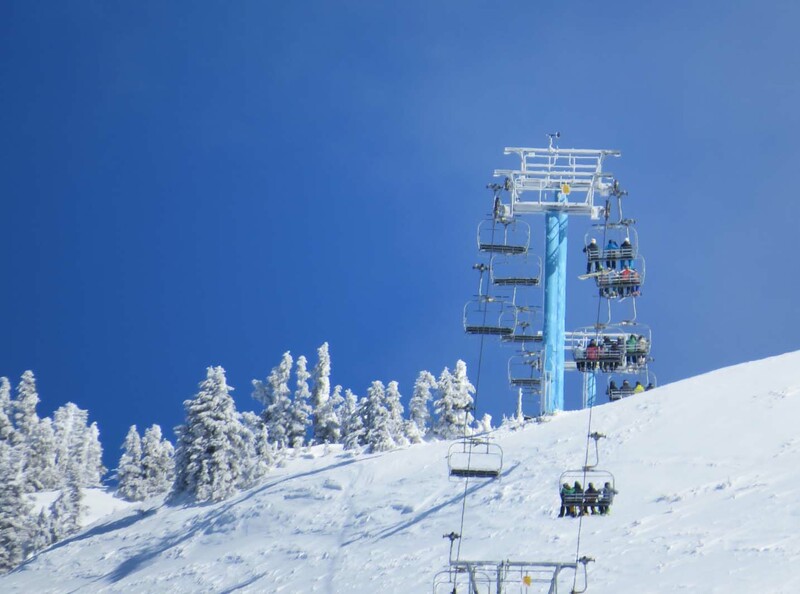 Get ready for bluebird days when skiing in Canadian in spring! With Canada having the largest maple syrup industry in the world, a trip to the sugar shack is a spring tradition for many Canadians. Harvest time usually runs from mid February into April, location and weather dependent. A touch of warmer weather is needed to prompt the trees to turn stored starch back into sugar, ready for ‘tapping’ (a surprisingly easy process) by maple syrup farmers. Maple farms across Quebec, Ontario and New Brunswick (plus a scattering across every province) celebrate the start of the season by offering delicious maple themed breakfasts, maple taffy on snow, sugar making demonstrations, woodland wagon rides and more. 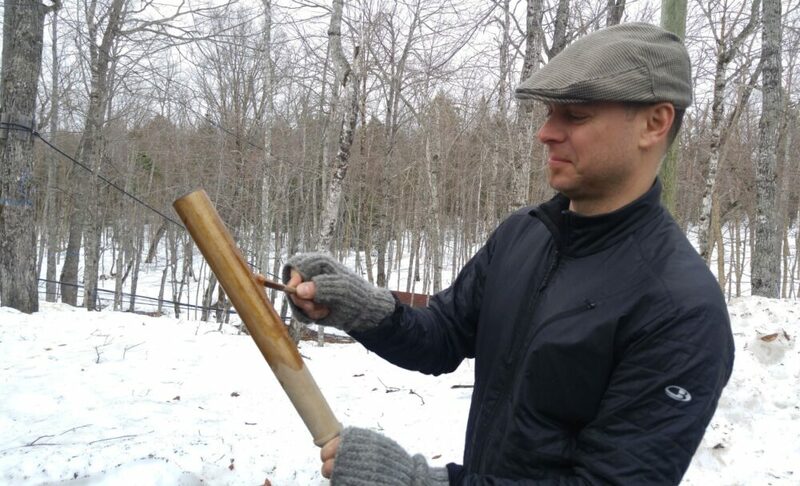 One of the most unique maple traditions has to be the ‘licherie‘ in Northeastern New Brunswick. 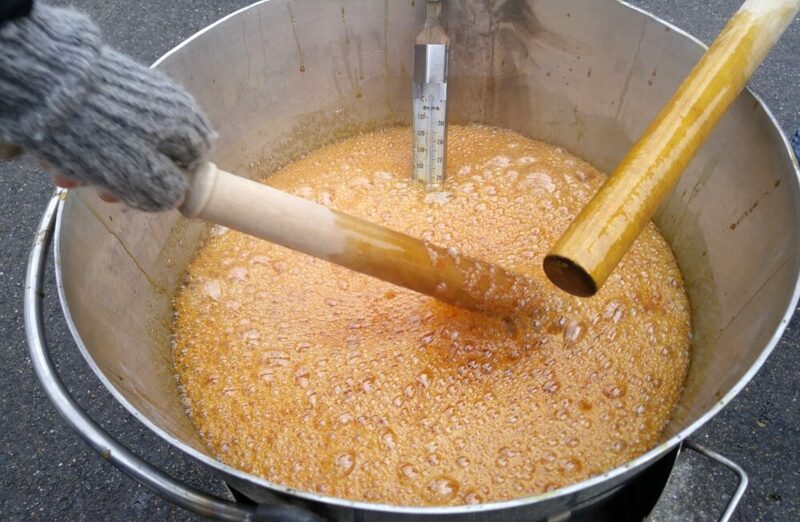 It involves dipping a long wooden stick into a boiling pot of maple syrup and then using a smaller stick to scrape off the (rapidly cooling) maple syrup. We tried it at Sucherie Chiasson in Paquetville. Spring is an ideal time to go waterfall chasing in Canada. Melting snow creates raging rivers and thundering waterfalls, unequivocally displaying the power of nature. There’s nothing quite like being deafened by the roar of a waterfall in spring. Peak run off times vary hugely between provinces and locations. 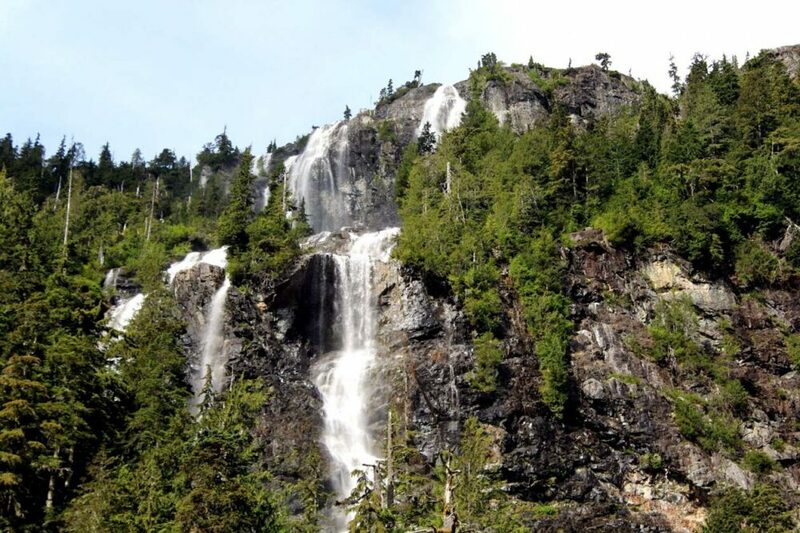 The sea level waterfalls of Vancouver Island, for example, will start to see a huge boost from March onwards as the warmer temperatures come in. Up in the alpine, however, peak run off won’t come until June. Waterfalls are usually more powerful during Canada’s spring. Della Falls, Canada’s highest waterfall (photographed here in June), almost dries up in summer. There is no doubt that the first bud of spring is highly anticipated across Canada. Victoria is usually the first city to see spring flowers and blossoming trees. There are two types of spring flowers that are particularly coveted in Canada – tulips and cherry blossoms. As the rainy season finally fades, Vancouverites revel in the city’s beautiful cherry blossom season. 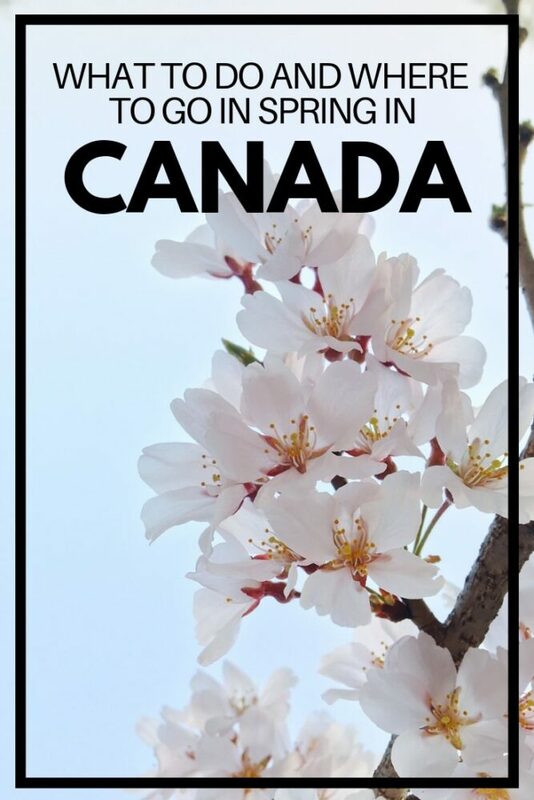 The city was gifted 500 cherry trees by Japan in the 1930’s as a thank you for the service of Japanese Canadians in WWI. Vancouver now has over 40,000 cherry trees bursting with pink and white blooms every April and a Cherry Blossom Festival to celebrate the season. Cherry blossoms can also be seen in Toronto’s High Park. 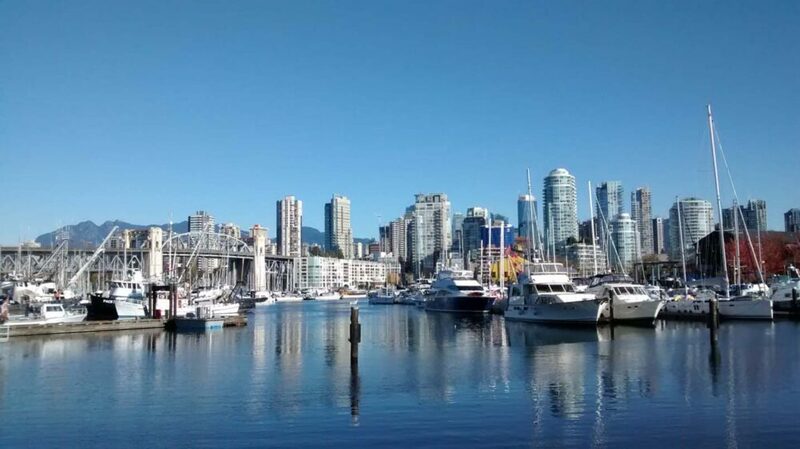 Planning to book a spring stay in Vancouver? 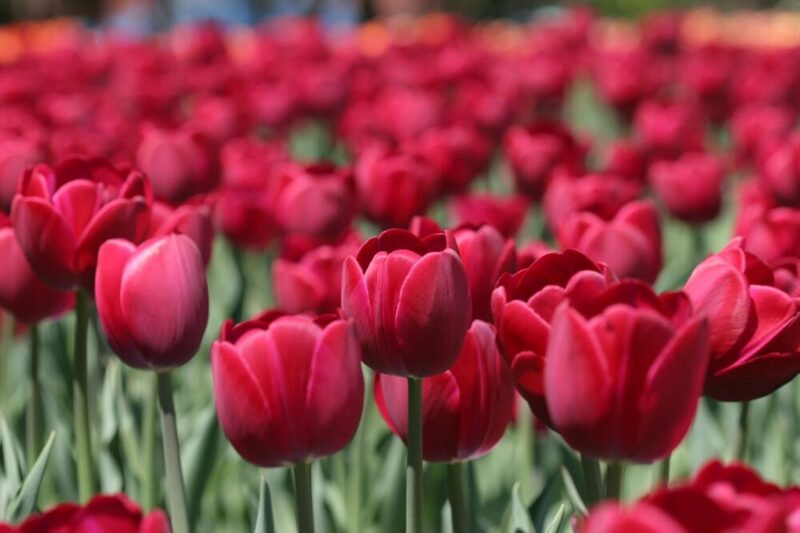 The world’s largest tulip festival takes place in Ottawa every May. Ottawa’s tulip connection is also related to wartime, with tulip bulbs being gifted to Canada every year since WWII in thanks for sheltering the Dutch Royal Family. A number of indoor and outdoor downtown locations are transformed into tulip inspired spaces, celebrating the vibrant return of spring. Chilliwack, BC, also has a popular tulip festival. Planning to book a spring stay in Ottawa? Canada’s spring ice break-up is dramatic and beautiful, especially on the Atlantic Ocean. Yes, believe it or not, it is so cold in parts of Canada that the ocean actually freezes! 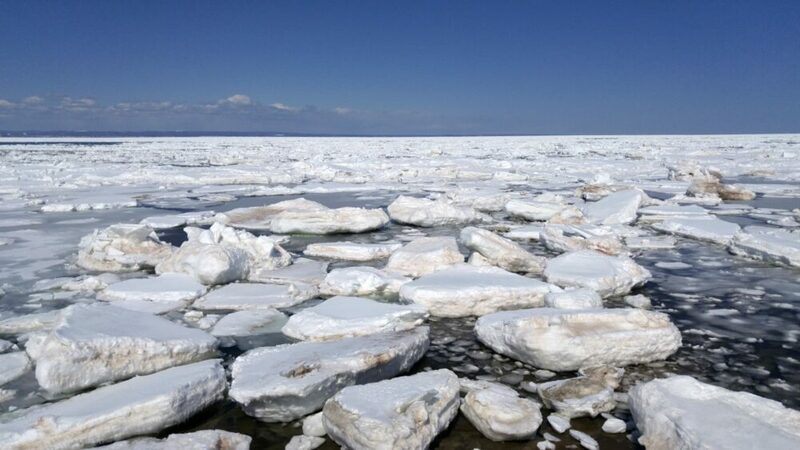 In the Bay of Chaleur in Northeastern New Brunswick, the ocean is frozen for around four months. 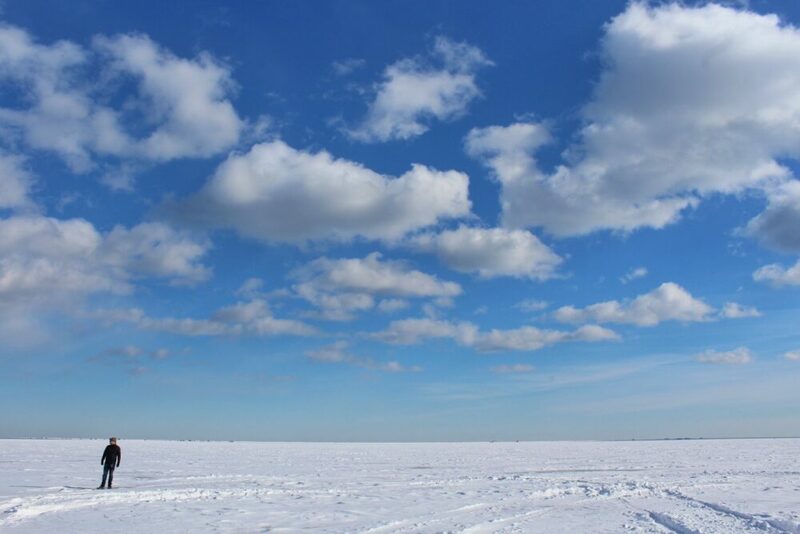 The snow covered ice reaches as far as the eye can see, reminiscent of the salt plains in Utah. When the weather warms, the ice starts to separate and form floating platforms, almost like an ocean jigsaw. It’s a unique sight and a definitive reminder that spring is finally approaching. It is not just Canadian oceans and lakes that see impressive ice break up. The Yukon River thawing is a subject of vigorous betting in Dawson City, with break up dates ranging from late April to late May. The anticipation is understandable.After the pedestrian ice bridge melts and until the river is clear, there is no easy access to the community of West Dawson on the other side of the river. For outdoor adventure lovers, the arrival of spring in Canada is the signal that hiking season is back. Of course, timing and hiking opportunities vary across the country but in general, most sea level hiking in the provinces should be snow free in May. Add another month for the Territories. 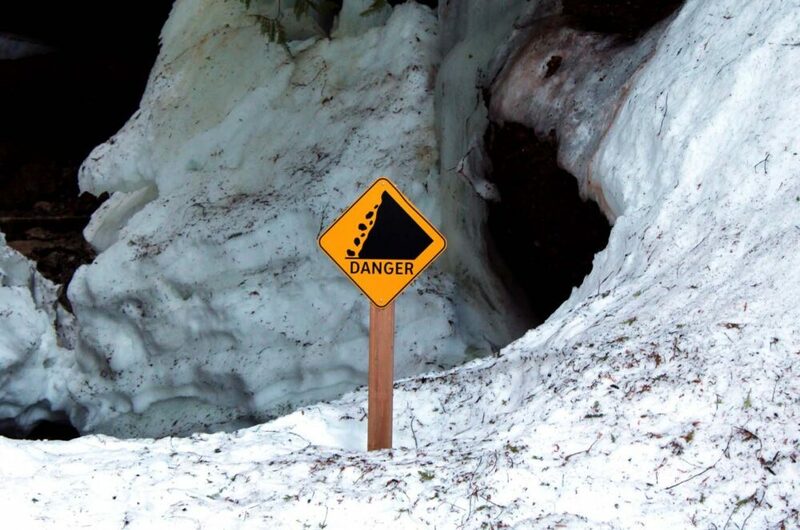 In the alpine, trails may not be clear until well into July. 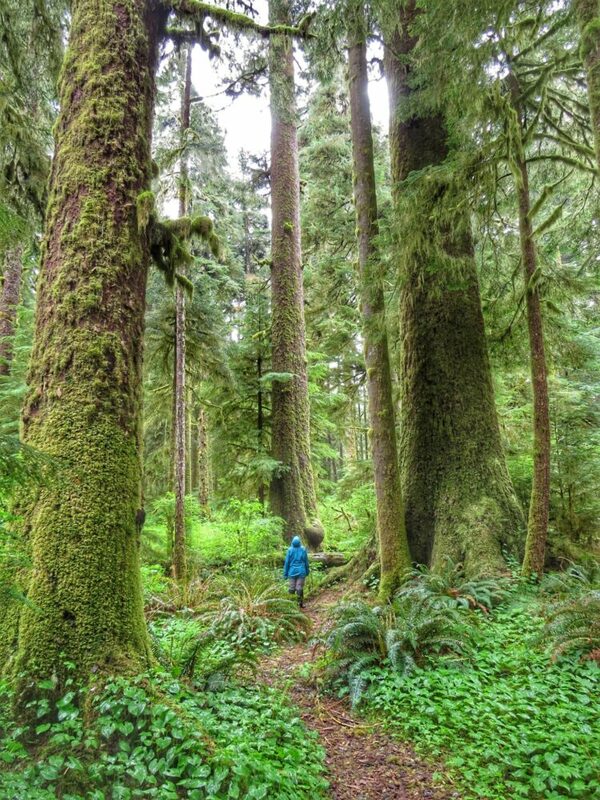 With warmer than average temperatures, British Columbia is my go-to province for spring hiking. Nova Scotia is a close second, with the ocean breezes keeping temperatures warmer here than elsewhere in the Maritimes. 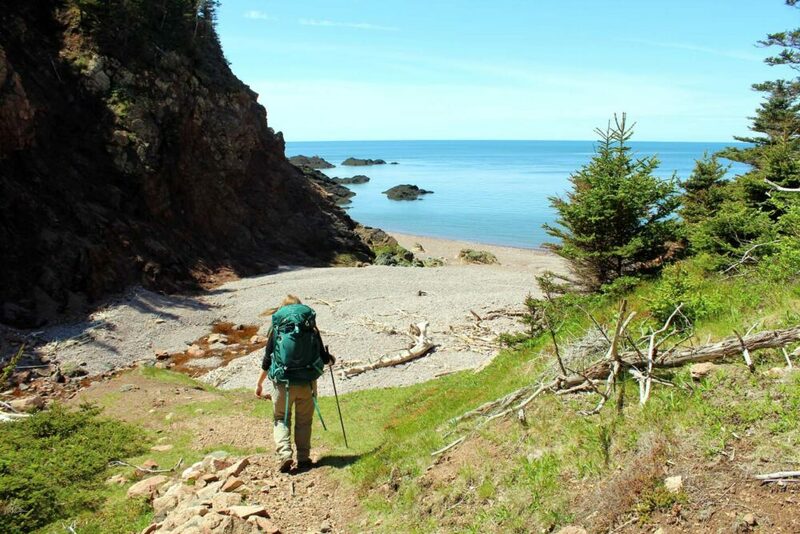 Keep in mind that mud, slush, slippery rocks and the occasional patch of snow are unavoidable hazards for spring hiking anywhere. As the temperatures on land start to warm, so do the ocean waters. And the warmer temperatures bring whales to Canada’s shoreline. This is most apparent in Tadoussac, Quebec, where up to eleven species of whales return to the area in spring (in addition to the two that stick out the winter here). 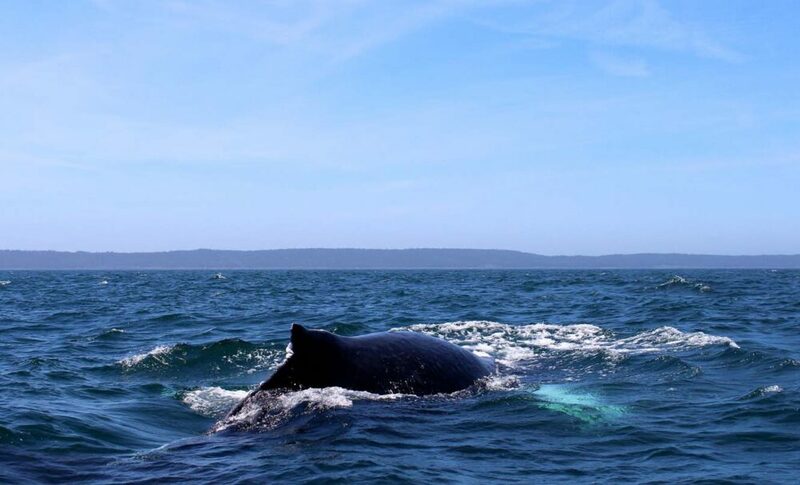 Whale watching tours in Nova Scotia begin in May, with humpbacks being commonly seen from June onwards. Tofino in British Columbia has a particularly long whale watching season, with tours starting as early as March. The region is best known for the gray whale migration, when over 20k swim past British Columbia’s shores on the way to Alaska. Whale watching in spring offers quieter tour boats and less boats on the water in general. There may be less whales however and you’ll need to wrap up warm! It is always colder on the ocean than on land. 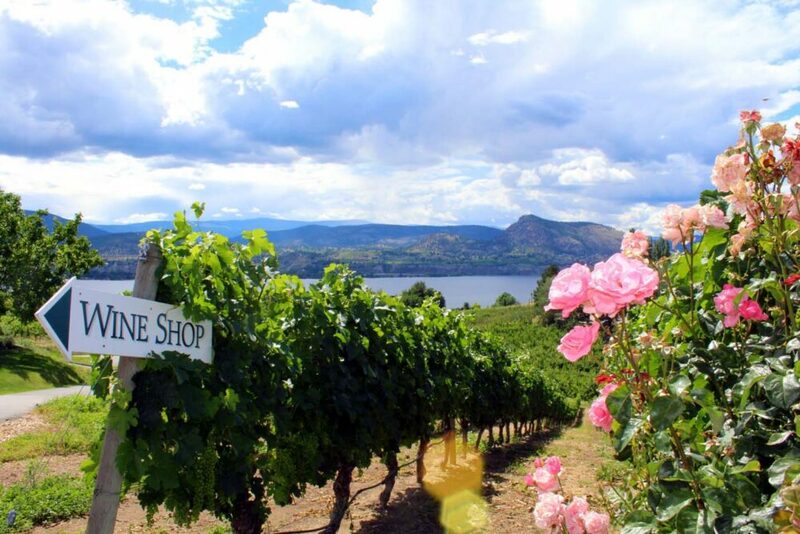 Touring wineries is a great activity to do at any time of year but spring is a particularly good time in the Okanagan Valley, British Columbia. This area is Canada’s second largest wine producing region and also one of the country’s warmest. Spring starts early here, with temperatures reaching 28c as early as May. The Okanagan Valley is home to over 200 vineyards and counting. One particularly beautiful area, the Naramata Bench, has over 40 boutique wineries easily accessible from one 20km stretch of road. Spring is the perfect time to take advantage of sunny days, quiet tasting rooms and just released vintages. A cool glass of Sauvignon Blanc on a sun baked Okanagan patio overlooking the lake is definitely a spring treat! Besides Easter, the major Canadian holiday in spring is Victoria Day. Always held on the last Monday before 25th May, Victoria Day is a federal holiday commemorating Queen Victoria’s birthday. In 2019, Victoria Day is 20th May and in 2020, it will be on 18th May. For many families, Victoria Day is traditionally the first weekend to go camping. For others, it simply means an extra day off and a sign that summer is around the corner. And, of course, it’s an excuse for a drink or two! Some cities (such as Toronto) and towns put on firework displays. Victoria Day has been observed in Canada since at least 1845 and is designated a holiday in one way or another in every province and territory with the exception of Quebec. In the latter, National Patriots’ Day is observed. 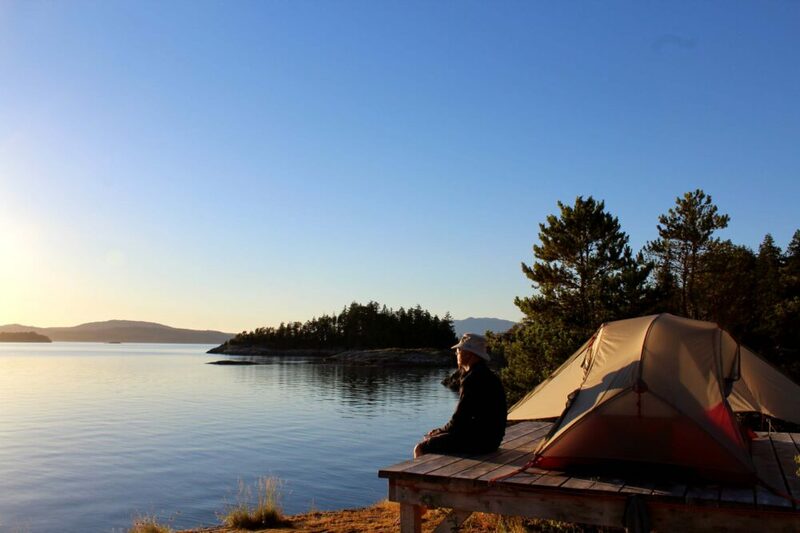 Okanagan Valley, British Columbia – Warm spring weather is the perfect accompaniment to hiking, paddling, climbing and wine touring in the Okanagan Valley. Spring comes earlier here than almost anywhere in Canada – embrace it! Canada is a huge country and, as such, as the weather has fairly big regional weather variation in spring. It also depends on the year. The Pacific Ocean helps spring come early in Vancouver, Victoria and on Vancouver Island. Warm temperatures can be felt as early as March. British Columbia’s interior is a similar story, though snow will still be found in the alpine and further north until May. Winter continues to hold for much longer in the Rockies, with snow still falling in April and the famed glacial lakes often frozen until late May. Winters are incredibly harsh in the Prairies (Saskatchewan, Manitoba and most of Alberta). Average April temperatures hover around 5-8c in southern areas of the Prairies. Spring really starts in May but is also unaccompanied by a lot of slush! Something to keep in mind, however, is that the Prairie provinces receive plenty of sunshine. Quebec and Ontario are huge provinces with corresponding huge variations, but spring generally comes in May to the populated areas in the south. Wind chill and dense fog from the Great Lakes can keep things fairly chilly prior to this in Ontario. The harsh winter weather starts to get milder in April and May in the Atlantic region, though short periods of heavy snowfall is still possible throughout spring. The Atlantic Ocean generally keeps temperatures low with cool winds, but plenty of sunshine is common. Nova Scotia usually has a slightly earlier spring than the rest of the Atlantic region. Spring tends to be fairly short in the most populated (and visited) areas of Canada’s northern territories, with winter moving pretty promptly over to summer around mid May. The long hours of daylight after the spring equinox surely help, with Whitehorse in Yukon receiving as much as 16 hours of sun by 1st May. 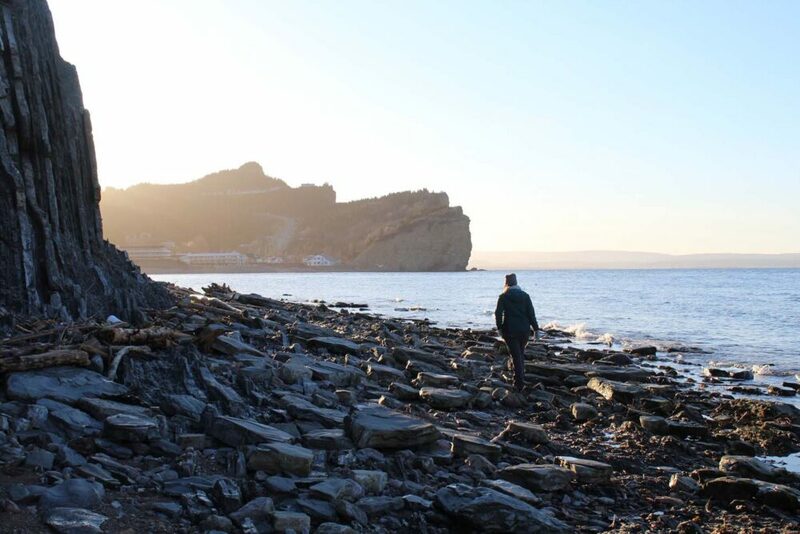 It was pretty chilly exploring Quebec’s Gaspe Peninsula during a particularly cold spring. The views were still spectacular though!